Prisoner Chelsea Manning may receive the hormone treatment she desires, but she must be transferred to a civilian prison to obtain it — and that’s where it gets tricky. 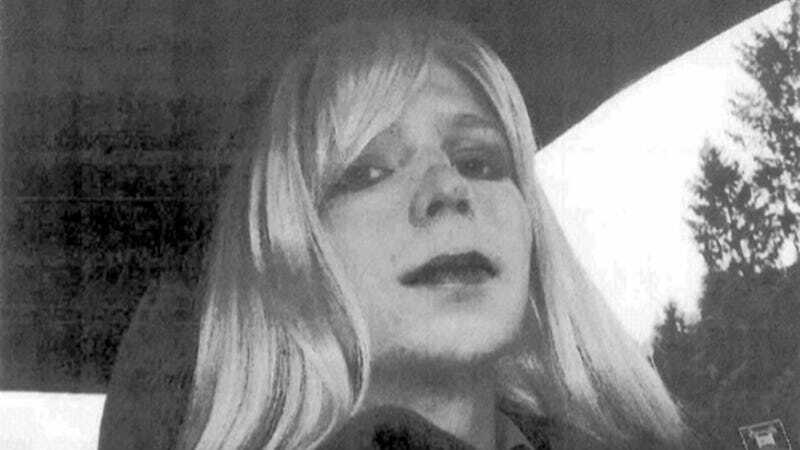 According to the Associated Press, defense officials said they are willing to make a concession for Manning, convicted security document leaker, to get treatment for her “gender disorder.” A number of military doctors have diagnosed her with gender dysphoria, the sense of being a woman in a man's body. The next step, approved by the military doctor at Fort Leavenworth, Kansas, was hormone treatment but that decision was “sent higher up the chain of command for consideration,” Manning wrote in a compliant she filed in March decrying her slow treatment. She said the military was delaying her ability to fully transition, and this is in addition to accusations of cruel and unusual punishment for keeping Manning in solitary confinement for almost one year. Regarding the transfer itself, military prisons are not equipped with the hormone therapy Manning’s requested, and her doctor suggested, because transgender people are not allowed to serve in the military so this is a logical next step. But even though Manning is serving a 35-year sentence for espionage, the military can’t discharge her. Discharges usually occur after the military appeals process has been exhausted but cases that involve national security breaches, like Manning’s, aren’t usually approved for transfers. Still, at this point, the real matter seems to be finding space for the prisoner in a civilian facility. While Manning’s transfer is the main issue, another is looming; should transgender soldiers be legally allowed to serve in the military? U.S. Defense Secretary Chuck Hagel said, during an interview on ABC's This Week on Sunday, that he’s “open” to reviewing the armed forces’ ban but the final decision is hairy because it "has a medical component to it." Elsewhere, a San Francisco State study found that, according to the New York Times, nearly 15,000 trans people are already serving. Ultimately, like gays in the military, trans people are already present in the ranks, just without the freedom to truly be themselves. If we're going to keep that whole "land of the free" tagline, America should probably do something to change that.